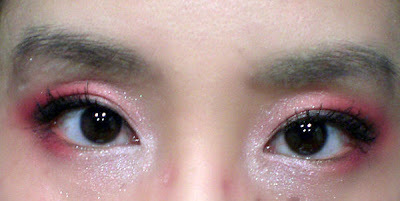 I think the best way to counter this is to throw in a bit of brow or grey for shading, and shop around to find the perfect shade of pink for your skintone. 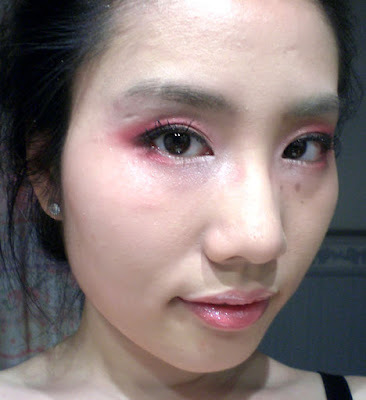 Usually if you have warmer skintone, a peachy-pink is better, while if you are a "vampire" like me, a blue-pink looks good. 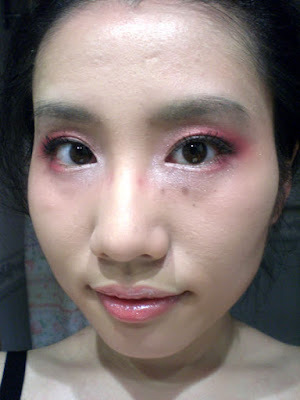 I applied a light shimmer pink to the inner half of my eyelids, dark matte pink to the outer half and winging it out a bit, a shimmery red-brown in the outer V, and shimmery white to my browbone and inner corners of my eyes.